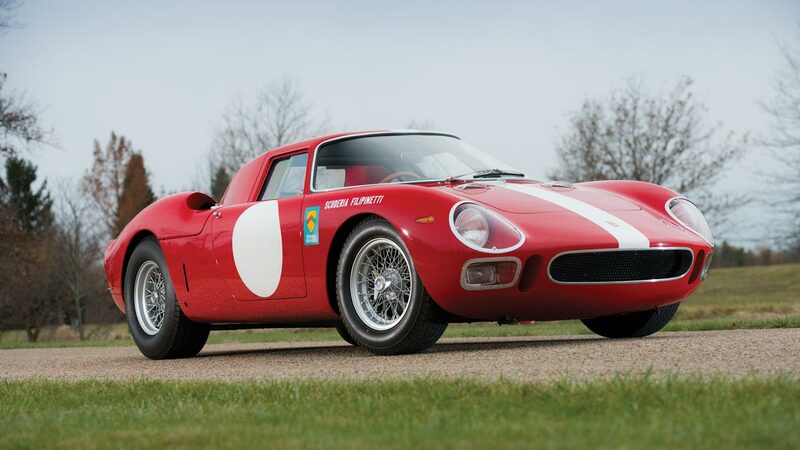 A 1964 Ferrari 250 LM sold for $9,625,000 at the 2015 RM Auction – a new Scottsdale, Arizona auction record. 17 cars achieved over a million dollar including nine Ferraris. A new record was set for a Ferrari 288 GTO. At $2.75 million. Two Mercedes Benz 300 SLs cars and two Porsches also sold for over a million dollar. RM Auctions achieved results in excess of a million dollars for 17 cars at the 2015 Arizona classic car sale. This was the highest number of million-dollar cars during the annual mid-January auctions in Scottsdale, Arizona and compares to 11 for Gooding, 9 for Barrett Jackson and 4 for Bonhams. The 1964 Ferrari 250 LM was the 9th of only 32 produced and had quite a racing career. It was originally raced by the Swiss Scuderia Filipinetti and won both its first two races at the hands of Ferrari Formula 1 drivers: the 1964 Sierre-Montana Crans Hill Climb driven by Ludovico Scarfiotti and only a week later the XV Coppa Inter-Europa at Monza driven by Nino Vaccarella. Following a racing accident late in 1965, the Ferrari was fitted with a modified Porsche 906 Carrera 6 body. As a “LM-P” it had quite a successful racing career. Speed was improved by fitting a larger 4l engine in 1968. The Porsche body was destroyed in an accident in 1970 and during restoration the car was turned back into a proper Ferrari started. The original 3.3 l engine was reinstalled and a proper 250 LM body fitted. 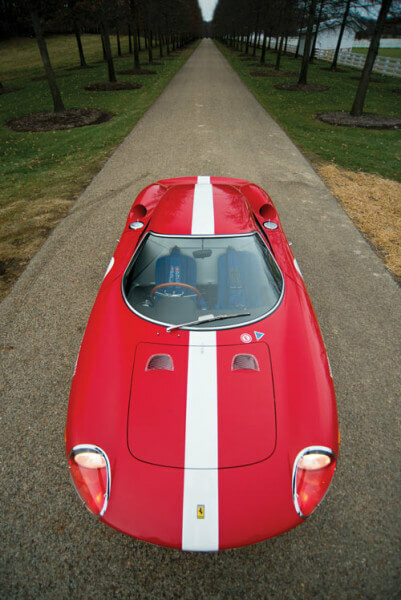 The 1964 Ferrari 250 LM received Classiche certification in 2005 from Ferrari confirming the quality and authenticity of its restoration and repairs. Nine Ferraris sold for over a million dollar each at the 2015 RM Auctions Arizona classic car sale while a 1969 Ferrari 365 GTS attracted an unsuccessful highest bid (the second highest at the auction) of $3,450,000. The top six results were all Ferraris. The second highest result at the RM Auctions 2015 Arizona sale was a 1967 Ferrari 275 GTB/4 that achieved $3,657,500. Film director John Frankenheimer originally owned the car and wrote, “I think the 275 GTB/4 is without a doubt the finest Ferrari I have ever owned.” The bright yellow Ferrari 275 GTB/4 was originally a more restraint Blue Sera over beige leather. A 1973 Ferrari 365 GTB/4 Daytona Spider by Scaglietti achieved $3.3 million. This fully restored spider was the 84th of 121 Daytona Spiders ever built by Ferrari and one of 14 originally finished in Argento Metallizzato. It has been driven only a remarkably low 17,000 miles. A second 1966 Ferrari 275 GTB by Scaglietti sold for $2,750,000 at the RM Auctions 2015 Arizona sale. This late-production 275 GTB is one of approximately 58 long-nose, torque-tube, triple-carburetor, steel-bodied examples. It is finished correctly in Rosso Rubino over Nero leather. A new model record was set when a 1984 Ferrari 288 GTO achieved a remarkable $2,750,000 at the RM Auctions 2015 Arizona classic car sale. The pre-auction estimate was $1.9-2.4 million. This car was the first Ferrari 288 GTO officially delivered to Japan and was in the ownership of the famous car collector Yoshino Matsuda from new until 2010. It has done under 11,000 km from new. A 1966 Ferrari 275 GTS by Pininfarina sold for $2,365,000. Only 200 Ferrari 275 GTSes were built, making these spiders with coachwork by Pininfarina scarcer than its 275 GTB berlinetta siblings with Scaglietti coachwork. RM Auctions had three Mercedes Benz 300 SLs at the 2015 Arizona sale and like other auction houses at the Scottsdale week found buyers unwilling to pay over the odds. The highest bid was $1,555,000 for a 1962 Mercedes Benz 300 SL Roadster (estimate $1.7 – 2.0 million) but failed to clear the reserve. A 1955 Mercedes Benz 300 SL Gullwing sold for $1,485,000 at the lower end of the pre-auction estimate ($1.45 – $ 1.65 million) while a 1957 300 SL Roadster sold for $1,210,000 – above the estimate of $900,000 – $1,200,000). The highest bid for a Mercedes Benz car at the RM Auctions 2015 Arizona classic car sale was for $3.1 million for a 1937 Mercedes Benz 540 K Sport Cabriolet A by Sindelfingen. It failed to clear the reserve margin (estimate $ 3.4 – 4.0 million). This was also the highest bid for any German car at the auction week. Gooding had two surprisingly similar cars on offer. With prices of the 959 increasingly exceeding a million dollar, more are likely to come on the market in the near future.